For a watch to be truly desirable it must appear as if it has not been made at all. It must seem to have appeared, fully-formed, an expert realisation of mind-boggling concepts. It should be hewn from imagination alone and give the impression no human hand has ever tampered with its operation. Bearing witness to such majesty is the raison d’être of the aficionado. A dedicated collector will spend years scouring the globe for such a timepiece, searching for something that has been wrought not by the hands of man, rather the hands of a God. In all of mythology there is but one deity who could be considered the figurehead of modern watchmaking. Of the many gods and goddesses who used time as their calling card, only Janus, the Roman God of beginnings and transitions, accurately represents the industry in its current state. 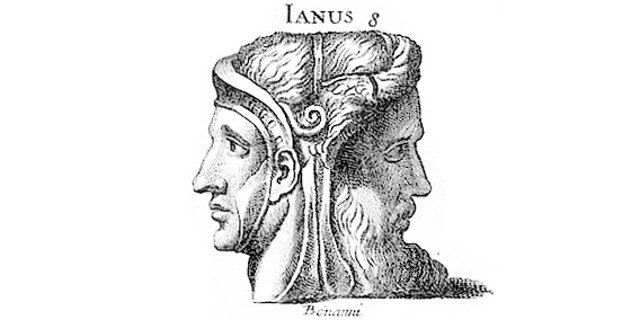 Janus, after whom the month of January is named, is easily recognised thanks to his having two faces: one pointing forwards towards the future, the other looking back over the past. Every watchmaker worth their salt must keep an eye on what has been if they hope to have a hand in what is yet to be. Tradition versus innovation: the constant war fought in the mind of every artisan. Whether one chooses to side with the past or the future matters only in the analysis of the final product. What is essential is that a compromise – a beneficial peace – is reached in order for the project to get off the ground at all. Some watches really get it right. Effectively balancing traditional techniques and the utilisation of avant-garde materials, techniques or concepts creates a sublime synergy – truly excellent design. Not just in terms of aesthetics, but in concepts, rituals and emotions, all of which immensely important to how a watch is perceived, digested and even worn. New is not always better. Better is always better, but not always preferable. 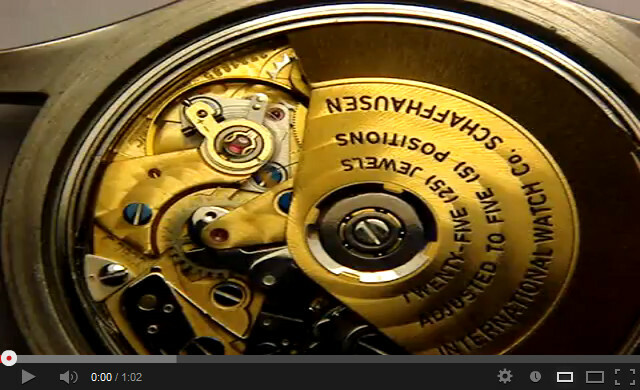 Although it may sound nonsensical, in watchmaking we can find the sense behind the statement. It is odd (and perhaps one of the most intriguing and beguiling aspects of watchmaking) that a process reliant on such a high-level of accuracy, can ever, at any point, afford to indulge in a little bit of nonsense for the sake of its consumer. A watch tells the time, true, but it is far more to its owner than a slave – far more than a purely functional tool. It is a partner through time, an equal and, in many cases, a friend. For that reason, how a watch makes you feel and how it makes you think is arguably more important than how it operates. A great watch should seem to have a soul, and there are some practically obsolete parts that really exemplify that. They may not be better than their more modern counterparts, but it would appear they are preferable. That is at least what the current trend of retrofitting a column wheel in place of the more up-to-date cam in a 7750 Chronograph suggests. The Valjoux 7750 is something of a cornerstone in modern watchmaking. Revolutionary upon its release in the early seventies, the 7750 was one of the very first calibres designed on a computer. Its creator Edmond Capt used his superior’s computer to synthesise the kinetic process of the movement while it was under development. What resulted was a durable, reliable and relatively cheap mechanism. One such revolution, for which we must thank Capt and his team, is the cam system (also known as the coulisse lever system). The cam was designed to replace the column wheel that featured as the ‘control’ or ‘memory’ component in classical chronographs, which is responsible for the execution of a chronograph’s three main functions: starting, stopping and resetting to zero. Levers that rest on either the cam or the column wheel dictate the operation of the chronograph. When the start/stop pusher is depressed, the main operating lever slides along the plate and, by way of the intermediate operating lever (held in place by the rocking lever and the rocking lever spring – another Capt-designed novelty), engages with the lower level of the cam/column wheel, which clicks into a new position and starts the chronograph running. When the start/stop pusher is depressed again, the control component moves once more, shifting the contacting levers back into their original position and disengaging the chronograph. It is here that the first major difference between the cam and the column wheel system becomes relevant. The cam, when required to stop a chronograph, moves back into its original position. It has only two positions: on and off. It therefore has only two functional surfaces that come into contact with the operating levers. A column wheel is made from a single piece of steel with ratchet teeth at the base and accurate, vertical columns extending upwards. The ratchet teeth enable the wheel to be rotated, thus altering the position of various levers that either rest on the columns or slip into the voids between the columns. Crucially, it has a unidirectional rotation. It therefore has multiple surfaces that engage with the operating levers whenever the chronograph is started or stopped. This means the column wheel, in order to function with the reliability of the cam, must be manufactured perfectly. Every vertical column (and every void for that matter) must be identical in order to produce the same effect as the one before and after. Capt knew this when he was tasked with designing a robust and thrifty competitor to the market. His cam, which could be manufactured by a cheap and easy ‘stamping’ process, was a huge leap forward in terms of efficiency, but something was lost in the particular progress. Even today, the column wheel is viewed as a more prestigious alternative due to it requiring a higher degree of watchmaking expertise to manufacture correctly. The cam is cheaper and easier to produce and offers more consistent results. It is, in short, better. The column wheel is traditional, hard to make, aesthetically pleasing (especially when blued as done by La Joux-Perret and Longines to create a real focal-point of the movement) and just feels good. It looks like something from a science fiction movie. It is almost too attractive to be a genuine part. It is a symmetrical, multi-layered, rotating advert for form and function working in total harmony. Even if we accept the column wheel’s superiority, does it make sense to graft it onto a movement of which he was never a part? Is it even fair to the column wheel itself to be spliced with a budget, no-frills calibre? I think it is. For too long the 7750 has not received the respect it deserves because it is seen as a base calibre, as a benchmark, the lowest acceptable example of a Swiss mechanical chronograph. It is all too easy to forget how revolutionary it was. There is a reason it is the foundation of mechanical chronographs: it is not because it is cheap; it is not because it is poorly finished; it is because it is really good; it is because it works. The computer aided design of the 7750 did it many functional favours, but few in terms of fashion. It was not flashy or graceful like the El Primero (released in 1969, four years before the 7750 hit the shelves). It was tough and strait-laced. Its finish was of low quality, but its performance reliable and true. If Zenith’s masterpiece had gone up against Valjoux’s brainchild in an interview, the credentials of the 7750 might well have deserved the job if only it hadn’t been given to the gleaming smile of the El Primero. Like a genius that got dressed in the dark, the 7750 is often shunned for its ugliness. In an effort to accommodate the glitz of a column wheel centrepiece, the quality of finish applied to the 7750s that will carry the classical control component has been significantly increased. Where once simple sand-blasting would do, Geneva stripes, expert perlaging and gilt engravings now decorate the movement. From left to right: Valjoux 7750, La Joux-Perret, Concepto C2000RAC and Longines L688. were the firsts to transplant the column-wheel on the Valjoux 7750. En 2006, ETA did the same upon Longines’ request. The El Primero in all its glory, next to a column-wheel 7750 by La Joux-Perret. Right-hand image: author unknown, reproduced under Fair Use. It would seem that it is. 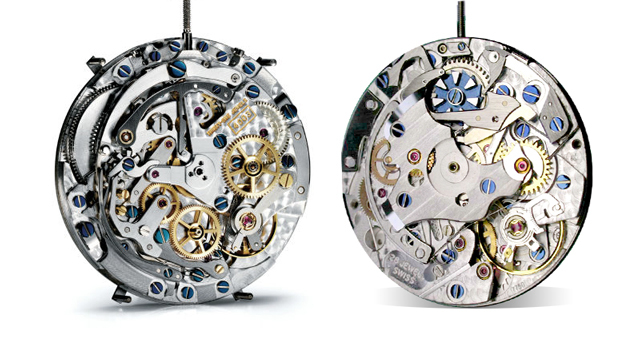 Watchmaking has long since ceased to be a single-minded pursuit for perfection. Sure, the quest is still on for a watch that operates infallibly, but the industry is more concerned with what sells. Gimmicks sell. Gimmicks that can be justified by tradition and craftsmanship and beauty sell even better. The cam is exceptional, but also exceptionally dull. It looks like it was created in a laboratory or on a computer screen. It is too technical. It is absolutely soulless. It is not of god. The column wheel, with its coruscated profile, its brutality of function and its honesty is a thing of nature – an organic thing of inhuman class. I am a watchmaker. I know the benefits of functionalism, but I respect the power of feeling. When I first saw a blued column wheel, I leapt up and down inside. I couldn’t explain it. How could I react in such a way at the sight of something outdated, overtaken, obsolete? I was moved because it just felt right. Whether or not it is better is not the issue. It all comes down to how it feels on your wrist and in your heart. And when faced with the choice of a cam or column wheel, those feelings ought to underpin your decision.